The Australia and New Zealand Banking Group (ANZ), is one of the largest banks in Asia-Pacific and is proud to support small to medium-sized businesses start, run, succeed and grow. PENSO developed a content marketing strategy which was integrated across social, owned and paid channels, with consistent and purposeful messaging for Australian businesses. 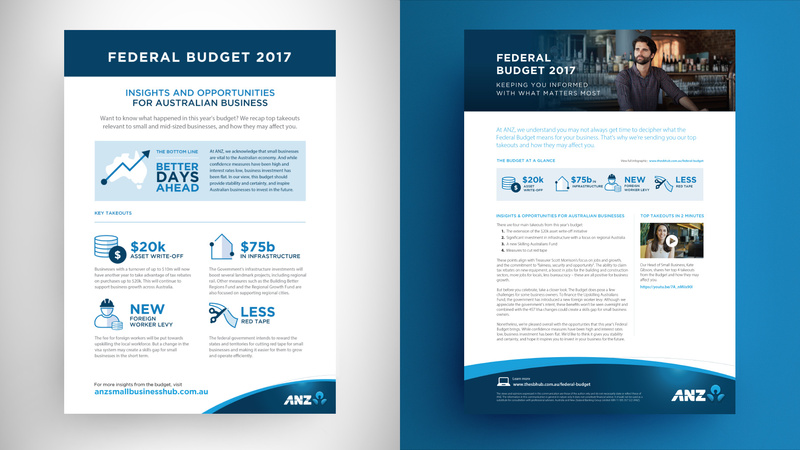 As part of the project, PENSO translated the Federal Budget story into various content formats: a video featuring Kate Gibson – Head of ANZ Small Business, website editorial, an infographic, Twitter, Facebook and LinkedIn posts, which led to increased visitation of the ANZ Small Business Hub website. 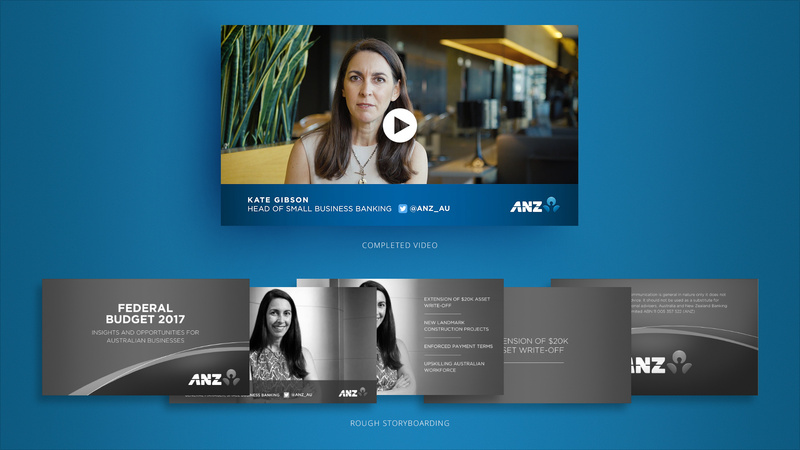 The content assisted in paving the way for more effective and meaningful conversations between existing customers and ANZ relationship managers, while positioning ANZ as the ‘go-to’ resource for relevant and timely insights to help keep businesses informed and poised for success. The ANZ Small Business division is continuing to strengthen relationships with customers and is well positioned to become the ‘go-to’ for relevant, timely and insightful resources to foster business growth. Yas Island wanted to drive tourists and repeat visitors to the island during Abu Dhabi's notoriously hot summer months. We needed to create a campaign that would not only drive visitation, but highlight all there was to see and do on Yas Island.